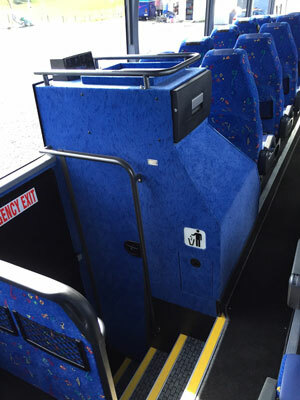 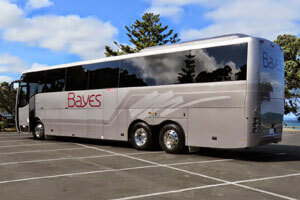 These coaches are 49 or 53 seaters, built for cruising. 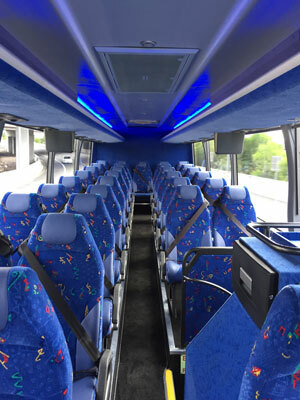 With all the appointments you would expect from 5 star tours, seat belted reclining seats with velour cloth and leather bolsters, fully climate controlled air-conditioning, PA Systems, with 3 TVs, DVD and USB connections, twin door entry / exit, on board toilet, a fridge for your chilled water, charging points for your entertainment or communications device, window blinds and tinted windows to block the sun from your eyes and enhance your view of this beautiful country. 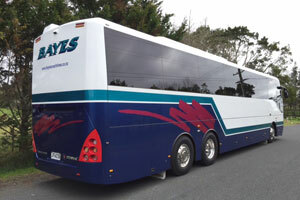 Hidden from view is the euro 5 engine with the cleanest exhaust emissions currently available, ABS braking, Electronic stability program, airbag suspension, all designed for your comfort and safety. 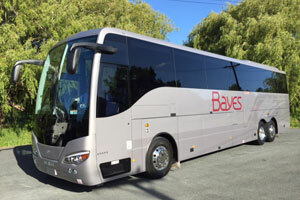 #135 is in our current fleet livery, whereas #138 (the new 53 seat 5 star coach) is in a new trial livery, colors to enhance the premium brand that Bayes coaches offer - so far the comments have been remarkable. 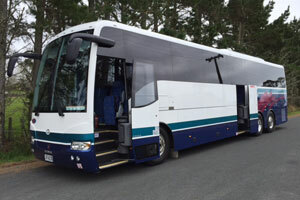 We currently have 3 more of these stunning coaches in build, due for Delivery over winter 2016, and on the road for the new touring season commencing in September 2016.